I'm experiencing multicast issues with the standard Hyperoptic router (ZXHN H298A). Hoping others may have some advice or experience with similar issues. Two SSIDs (one for 2.4Ghz, one for 5Ghz), both using WPA2. Multicast traffic works between devices on different SSIDs but not between two devices on the same SSID. I can replicate the issue by moving devices between SSIDs and observing multicast reachability starting / stopping (testing with pings to 224.0.0.1, dns-sd service browser on macOS/iOS). This issue severely impacts the ability to use Apple Bonjour-dependent services such as Homekit, Apple TV remote control etc. I contacted tech support who told me they have enabled multicast on my router (a setting only they can control). Overall they have been very helpful but they are now saying the issue is with my devices. I am more inclined to believe the issue is with ZTE than Apple! 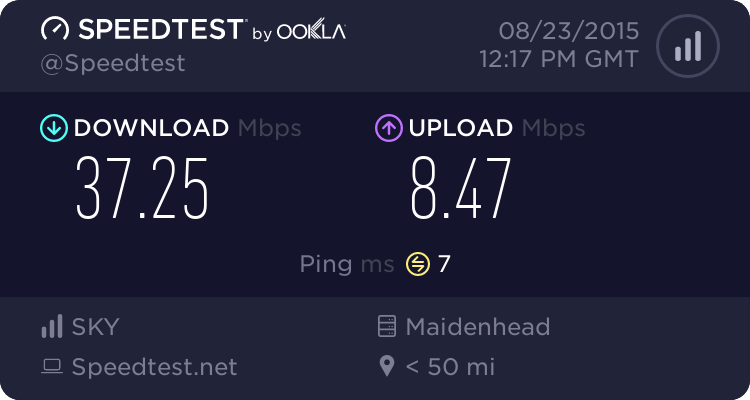 Any advice on this issue or guidance on how to get further attention from Hyperoptic would be appreciated. have you got wireless isolation enabled? SSID isolation is disabled for all SSIDs. Hyperoptic sent me the Tilgin hub to replace the ZTE one and this fixed the issue.